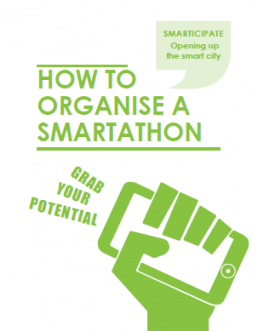 On this page you can find the reports, scientific publications, public deliverables, and other outputs of the smarticipate project. To access the redmine system used to track and evaluate the requirements for the smarticipate platform, click here. Below are the project deliverables that have been finalised. Please note that this section will be regularly updated as deliverables are completed. Only public deliverables are available for download. This deliverable is confidential and not available for download. This document presents the second Annual Report of the smarticipate project and describes the project progress and results achieved during the first project year. This document presents the second Annual Report of the smarticipate project and describes the project progress and results achieved during the second project year from February 2017 to January 2018. 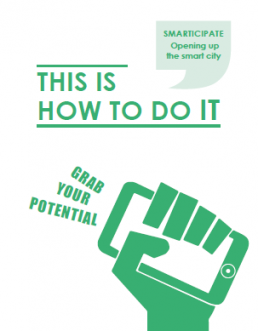 This document presents the requirements elicitation methodology and user requirements for smarticipate defined in conjunction with the pilot cities. This report presents the gathered requirements and derived recommendations for citizen dialog design. This document covers the project’s data management plan. In this version, data collection, storage and sharing procedures will be highlighted. Also, data security/confidentiality aspects will be discussed. Data sets will be introduced where appropriate. Please note that this is a live document and will be enriched with more details during the project lifetime. 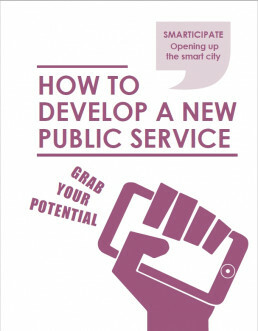 This document developed with in the framework of Task 2.4 and aims to model the planning processes followed by the case study cities to identify the extent to which open governance, supported specifically by ICT applications and methodologies, can assist stakeholder engagement in the land use planning decision-making processes applicable to both development proposals (planning permissions) as well as development planning (local plans). 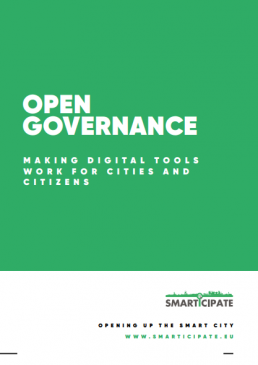 This document describes a generic dialogue framework for citizen-based co-creation of open data and the resulting system design specification. This document describes how interactive automated feedback will be implemented in the smarticipate project. Technologies to implement are introduced along with a methodology to derive requirements from users. A short overview of requirements relevant is given also considering the outcomes of work package 2. This document describes the overall technical system architecture, which yields an open extensible architecture for services. It considers the cities? requirements for system IT specifications and will provide the baseline for designing the system integration that will enable an operational deployment for piloting. Definition of the software development process within the smarticipate project. Includes a definition of the teams and responsibilities between team and support tools. 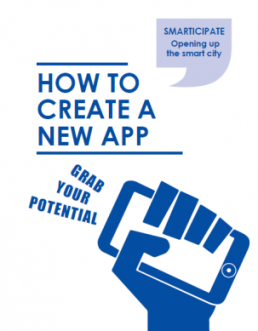 This document describes the current state of the front-end prototypes of the Smarticipate system, which are used by citizens and city administrators. This document describes the software artefacts developed in work package 5 of the smarticipate project. It represents the current state of development in month 10 and will be updated accordingly in month 16 and finally in month 26. This document is the description of the smarticipate toolkit from a technical user`s perspective. The application programming interfaces (API) for smarticipate linked-data backend services, service interfaces to extract data, data storage, interactive, automated feedback and how they are implemented in the smarticipate project are topics for this document. However, at present only documentation on the feedback service is included in this version. Also in scope are possible recommendations for refining OGC standards based on our experiences and especially after evaluation results are available. This report specifies the system, hardware, software and data along with integration concept and deployment flowchart. A residents association in Rome wants to have more space for urban gardens. They use Smarticipate to find a potential site. They make a plan by completing an easy-to-use application and using the design feature of Smarticipate. With the support of the automatic feedback feature, the applicant fine-tunes the plan such that it fullfills all the criteria. After they submit the plan, it is published. From that moment, other associations can -within the deadline- show their interest in the same plot. If another association also qualifies, a lottery system is used to make an objective decision. The selected association can then start realizing their urban garden, while the other association is offered an alternative location. Citizens are able to monitor the use of the plots via the Smarticipate app and inform the municipality if they discover illegal use. In these cases, the municipality comes into action and enforces the violation. Such a control mechanism can result in the municipality having the confidence to add more land to the database. 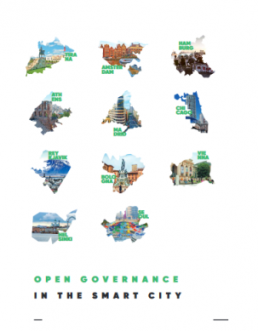 Through eleven cases – 9 European and 2 non-European cities – the report provides an overview of the variety of approaches local governments and communities can take to ICT enabled open governance. In addition to describing the different approaches, the report also discusses risks and challenges, concluding with a number of recommendations. View the project newsletter archive here. View the Live Case Studies here. The experiences and lessons learned from the development of the smarticipate platform are summarised in this document in a series of 12 recommendations. 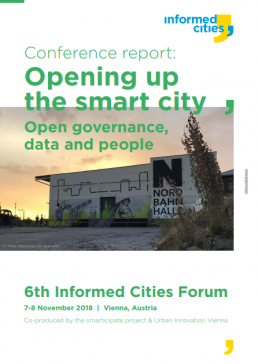 These recommendations are targeted at city officials who are considering the adoption or development of an ICT system for the purpose of participatory planning or improved urban governance. This communication and dissemination strategy, developed under WP 9, describes how the smarticipate project will communicate its activities and results to the outside world. It provides a strategic overview of the key messages to be communicated, the audience we strive to reach, and the channels by which to do so. It explores the challenges associated with communicating the project and outlines the way in which the success of our communication and dissemination activities will be measured. The strategy is a “living document” and major updates are foreseen in months 15 and 27 to respond to the demands of an evolving project. The commercial exploitation aspect of the project will be further elaborated in subsequent editions. The communication and dissemination tasks of the project will run from month 3 to month 36. The development of the communication and dissemination strategy is led by ICLEI. It will undergo two updates (months 15 and 27) to respond to the demands of an evolving project.